After Nearly 7 and a Half Months, Tom Brady is Free | NFL News, as it happens, when it happens. Your one stop shop. That sound you just heard was the cheer that erupted from millions of Patriots fans across the world. Let this day, this third day of September in the year 2015, be a day to remember. Let it be a day of celebration. There will be singing and dancing in the streets. Wounds will be healed, broken relationships will be mended. Hell, the dead may even rise again. The reason for all this jubilation, you ask? After nearly seven and a half months, Tom Brady is free again. Later Monday night, Chris Mortensen reports that 11 of the 12 Patriot’s footballs were underinflated by 2 PSI. The media grills Tom Brady. America grills Tom Brady. A dark cloud is cast over Patriots Nation during the first week of Super Bowl Week. Then the real Super Bowl Week arrives. And, for no apparent reason, Patriot’s fans transform from dark, depressed, somber mode into “F You” mode the following week. It becomes an “us against the world” mentality. The Patriots go out in Super Bowl XLIX with perfectly inflated footballs and beat the Seattle Seahawks, who looked to be a more talented team, in one of the most exciting Super Bowls in recent memory. Snuck into this by the NFL was a leak that in actuality, only one of the Patriots balls was 2 PSI under the legal minimum, the others were no more than 0.2 PSI under it. Months go by, and the Pats bask in their victory. The NFL sends “Independant” investigator Ted Wells to conduct an investigation. In May, Wells finally comes out with his report. His conclusion is that it is “more probable than not” that Tom Brady was “generally aware” of footballs being intentionally manipulated. This sends America into an uproar. Their villain has finally been exposed, they think. The NFL uses these highly conclusive findings (that was sarcasm if you weren’t sure) to suspend Tom Brady for not one, not two, not three, but FOUR games. Brady will not go down without a fight. 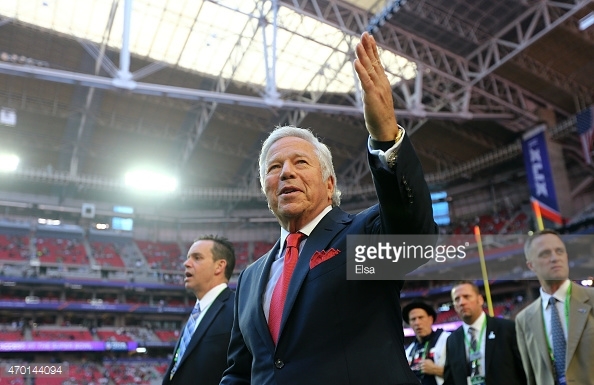 Believing it will aid Brady’s case, Robert Kraft elects not to appeal the team-imposed sanctions, which included a $1 million fine, the biggest in league history, and the loss of a first and a fourth round draft pick. Yes, the Patriots received the harshest punishment in the history of the league over the air pressure in a few footballs. Naturally, Brady appeals the suspension. 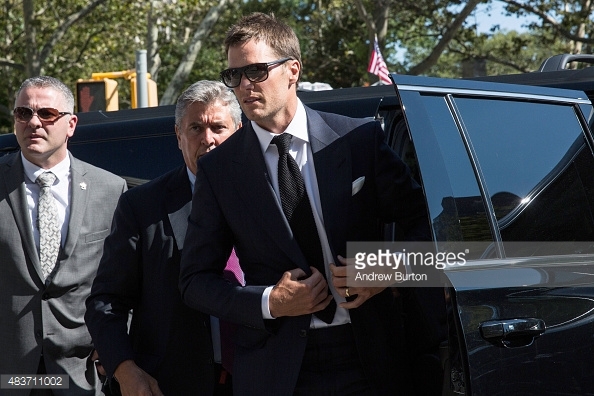 On June 26, Brady and his lawyers meet with the NFL to appeal. They spent almost an entire day in one room discussing the air pressure in footballs, a real fun day I’m sure. A month goes by with no new news. Finally, the NFL rules to uphold the 4-game suspension, but not before leaking information they had known for more than a month, that Brady ordered his cell phone to be destroyed before Wells’ investigation. Brady fires back as well, writing a long Facebook post about his disappointment in the suspension. But, as we all know, Tom Brady is no quitter. He elects to sue the NFL in federal court. The case is assigned to Judge Richard Berman, a judge in Manhattan. The location of the case is supposedly slightly in favor of the NFL. The two sides meet three times in front of the judge, and a few others on their own. Berman really wants the sides to settle. They both want a ruling before September 4. In the hearings, Berman goes hard after the NFL. The first thing he asks them is the question we’ve been wondering since the start. Tom Brady played much better in the 2nd half of the game when the balls were re-inflated than he did with the deflated balls, so how was this even an advantage? During the hearings, the NFL keeps falling back on their power in the CBA to rule however they deem necessary. At one point, Roger Goodell compares Brady’s offense to the use of performance-enhancing drugs. Seriously? On Monday, August 31, the sides met for the last time. No settlement was reached. The NFL was only willing to knock one game off the suspension if Brady admitted to the findings in the Wells report, which of course were nothing. Brady was willing to accept a one-game suspension but only because of his failure to cooperate during the investigation. Judge Berman said he would rule on the case before Friday, September 4th. Today, he vacated Brady’s suspension. 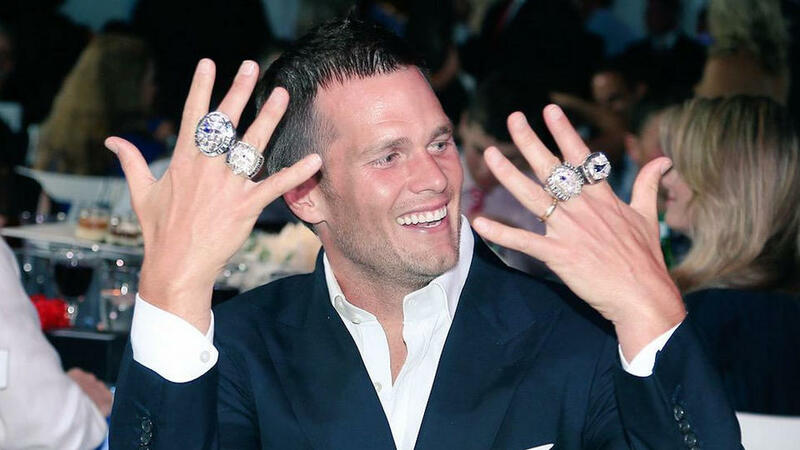 Brady’s beaten all 31 teams in the NFL that he hasn’t played for, and now he’s beaten the league as well. The NFL is a loser in this case more than Tom Brady’s a winner. This opens a huge Pandora’s box. Now, every single player that is suspended will appeal it and challenge it in court, the league’s worst nightmare. That’s why the Deflategate case is far from over. The league will almost certainly appeal this to a higher court. No matter how weak their case is, they’ve now become the side that has nothing to lose. Roger Goodell has had a rough couple of years. After Ray Rice knocked out his fiancée in February 2014, Goodell suspended him an embarrassing two games. A little while later, a video came out of the actual scene, something the NFL could’ve easily obtained themselves. 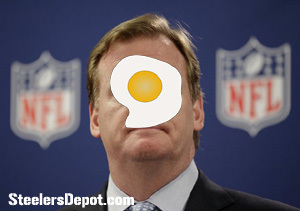 Goodell used that as an excuse to suspend him the entire season. A lot of people were critical of his handling of Adrian Peterson’s child abuse case. I defended Goodell for a long time. I feel like handing out punishments in the NFL is one of the hardest jobs in the world. There are so many incidents that no matter how well prepared you are, it’s impossible to be perfect. However, if this job is done badly, it looks horrible. And that’s the situation we have here. The NFL essentially makes up their discipline policy as they go along. In an industry with as many wrongdoings as they have, this is a problem. Goodell has a long history of his suspensions being overturned, and this is the easy explanation as to why. Roger Goodell is still the commissioner of the NFL, but the more time passes, the more it’s clear that the clock is ticking. So, after nearly seven and a half months, the NFL’s golden boy has been cleaned of all inequities. That means that, one-week from today, when the NFL season begins in Foxborough, Tom Brady will be on the field facing the Pittsburgh Steelers. Tom Brady is a winner. He’s engineered 35 4th quarter comebacks in his NFL career, but let the record show, that on September 3, he engineered number 36, against his toughest opponent, the NFL.